If you’ve been around video games for at least the past decade, you’ve probably heard about Diablo. You’ve also probably heard about some Diablo clones, who try to jump on the ARPG bandwagon due to its ease of creation and high profitability. 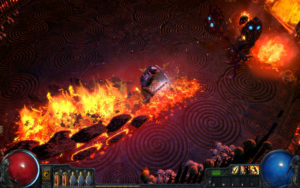 Set in the dark fantasy realm of Wraeclast, Path of Exile is a game who won high accolades as a game of the year in 2013, and in response the creators, Grinding Gears Games have been constantly changing and working to improve the game. But has this free to play game stood the test of time and is it still worth your time in 2018? Let’s find out. When I first encountered Path of Exile years ago, I was a broke college student who was looking for something to let me experience an action RPG to finish a computer science assignment. Needless to say, I wouldn’t at the time been able to tell you a good ARPG if it hit me in the face (spoilers: it had) and thus left Path of Exile after a few days, and totally forgot about its existence. Now, this wasn’t because the game was bad, as I tend to remember those negative gaming experiences far more than the good, it was more the fact I had no real interest in the genre until a few years later. Since then, I’ve played and witnessed play of plenty of top-down action MMO’s (like League of Legends) and Action RPGs like Diablo. When I did get around to trying Path of Exile a second time, it was with these new experiences, and was like finding a hundred dollar bill in a wallet when I only expected a one dollar bill. In starting up the game, you’ll find a few classes available that you’d expect in any fantasy game. There’s the crusader (a melee/magic mix), a barbarian class, ranger, and witch, just to name a few. These each have some essential strengths in the beginning of the game, though very quickly it’s clear there’s not a lot of restriction on what you can do in game. Want a Ranger that only uses melee? No problem at all. What about a witch swinging a mace instead of a wand? There’s plenty of that to be had. This discussion will be expanded on in the next section, but for now know that no matter what class is chosen, the world of waerclast is your oyster. Aside from characters, you’ll also find several leagues which you can enter into. These are more or less how Path of Exile can remain fresh and allow for new users to really get a feel for the game as opposed to many other games where if you’re not in by year 1, you are hopelessly behind. There is the standard league which does not have a reset and where you can have most of your story take place, but there are other leagues which are called “challenge” leagues where refreshes are based on seasons, and feature new rulesets, level resets, and other neat features. If the new rules or items seem popular, they can be incorporated into the main game itself. This is, in my book, a huge plus as it let me go into the game after years of being away, and not being at a gigantic disadvantage. Now, let’s talk about the environment. Overall, the game is set in a very dark theme. Without sounding too facetious, it makes Diablo look like Runescape in terms of brightness. With a gritty appearance (and might I add, decent graphics for an Indie game), dark soundscape, and enemy as well as combat design that lead to feeling the real weight of the world dragging your character down. While there is some environmental variation based on your travels through the region, one thing remains the same: the feeling that combat and potential death are just around the corner. Regarding controls, Path of Exile is a rather easy. Regarding most games of this type, I more often than not find mouse-and-keyboard controls cumbersome (blame my console upbringing) and I was a little afraid that I’d be lost in trying to rediscover Path of Exile. As it happens, the control scheme is very easy, being mostly mouse based. There are a few hotkeys, like P for the skill tree, but these are far less numerous than I expected out of the box. So we have a regularly cycling, easy to control game with plenty of enemies and a dark theme. Let’s take a look at some more in depth topics: Characters, PoE Items and Skilltrees. 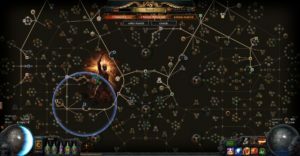 Path of Exile: Characters, Items, Skilltrees and More! As mentioned earlier, there are 7 base character classes you can play from. You might notice, however, that initially, only 6 are available. These include the Marauder, a pure strength character, the Ranger, who specializes in Dexerity, the Witch, the intelligence character, then the duelist who specializes in strength and dexterity, the Templar who has both strength and intelligence, the Shadow which has dexterity and intelligence, and lastly, the Scion who has all three attributes and can be unlocked in later game play. In general, Strength players hit harder in normal striking and can take more hits, dexterity characters attack faster and evade more strikes, and intelligence characters are more focused on magical protections and attacks, at the cost of being rather weak in melee. Now, does this mean that once you blindly pick a class, you’re stuck with your character type all play through? Most certainly not. Most games, especially ARPG’s, like to keep classes a little isolated from one another. Spellcasters and healers focus into intelligence and special spells, while rangers work into bows, and Melee fighters work with either one hand or two hand attacks, and that’s the way it’s always been, with special skills going into each class. Path of Exile turns this on its head through the skill tree, which is honestly more a skill bush. The classes are more a simple starting point in how to get used to the controls and may confer some small benefits over time, but by and far each class allows you to be yourself and change your playstyle. The skill tree itself is absolutely massive, by far the largest I’ve ever seen, and no matter what you start as, you have the full ability to specialize into other perks. As mentioned before, you could easily become a mace wielding witch, or a bow using marauder, and you can create thousands of different variants of each class. In terms of items, both weapons and armor items act as both passive and active boosts alongside your skill tree to make an even more customized experience. Depending on looting and grinding (a genre standard), you can be rewarded with items that have “linked” items, where you can input support gems to give weapons or armor added benefits. These gems are classified by color and rarity, which can often make common items more powerful than rare items when crafted carefully, making for a wonderfully balanced experience, even if luck isn’t always on your side. 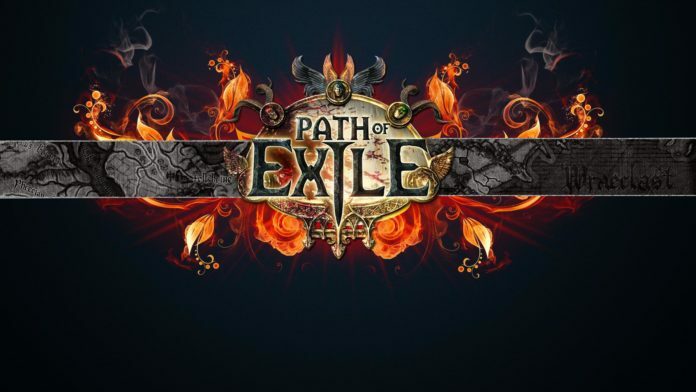 Now that we’ve looked at gameplay and some game features, let’s look at some of the pros, cons and quirks in Path of Exile. So normally, I’m opposed to microtransactions. 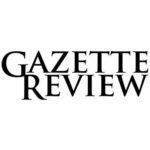 They’ve been a blight on the gaming industry since nearly as long as I can remember, and they were the precursor to loot boxes which everyone can recall caused complete outrage in the most recent Star Wars Battlefront game. What I don’t mind so much though, is when a free to play game offers microtransactions that do not make it a “pay to win” game. Path of Exile does exactly this, making microtransactions more a sign that you support Grinding Gear Games than that you’re not someone to be messed with. For the use of microtransactions in an ethical manner, I’ll actually put this as a plus. This should not mean “it’s easy to beat Path of Exile”, instead, the controls are crafted in such a way that it is unobtrusive to play, and the game’s difficulty is purely within the game, not due to outside factors. Chalk up another plus. Let’s face it, there simply aren’t enough good gaming communities anymore. I’ve been lucky to encounter a few, but none have been quite as helpful or informative as Path of Exile’s own community. From the first 5 minutes to many hours in, both forums and in game chats offered info I’d otherwise have never noticed. While there is inherently a competitive nature to the game, it does not overshadow the cooperative nature of players trying to discover more about this massive game. Now this one I’d set into the quirks section, as it can be a pro or a con depending on who you are. The level of customization to the characters is gigantic, and overall a huge benefit. It means that likely any character you meet will be unique in skills compared to anyone else. However, if you’re a fan of min/maxing or studying up, you’ll need essentially an encyclopedia of information to figure out what to do. While I can’t say anything too bad about this, it can be bothersome if you’re not investing a good deal of time into Path of Exile to learn about skills. As a con, this is mostly aimed at those who are new to the genre, like I once was. While there is in some manner a tutorial for Path of Exile, I would perhaps recommend a tutorial hub that’d be more comprehensive than what is currently available. Though most players could get an idea of the game from the beach, the deeper the understanding of the mechanics, the more rewarding the game has become. In closing, I cannot recommend this game enough, especially for the price. Though I am not one to be enamored with this style of action RPG, Path of Exile has the depth of more traditional RPG’s, a darkness that overshadows even the king of the ARPG genre, and a visceral combat system like no other. Considering this product is totally free, I can’t see a reason to not download it, and with the promise being it would never become play to win (and hasn’t since 2013, when it won Game of the Year), I’d feel fairly confident that Grinding Gear Games is more than happy to keep to the same player respecting formula. What makes this game better is that there is a quarterly expansion in PoE, meaning new content keeps coming, regardless of if you invested in some of the cosmetic microtransactions or not. In terms of a numerical score, I’d give Path of Exile a 9 out of 10 and would encourage everyone to check it out on Steam, even if it isn’t in your genre of choice. Who knows, you may end up calling Wraeclast home for quite some time.